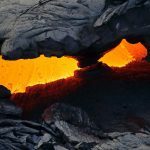 le chaudron de vulcain – October 22 , 2017. EN. 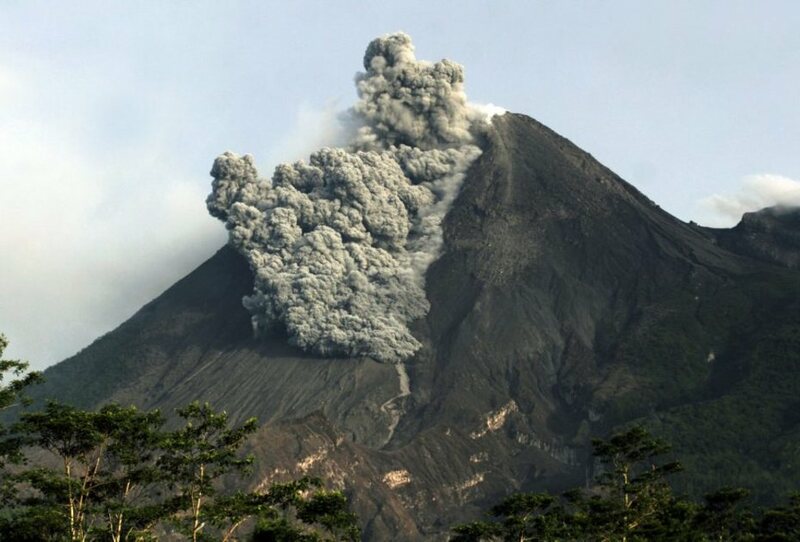 Tinakula , Agung , Fuego , Turrialba , Poas , Rincon de la Vieja , Dukono . Home / agung / October 22 , 2017. EN. 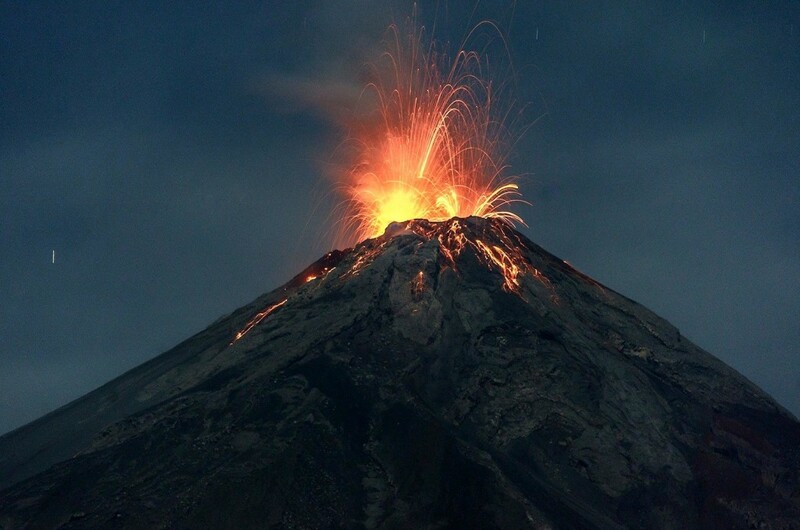 Tinakula , Agung , Fuego , Turrialba , Poas , Rincon de la Vieja , Dukono . Authorities in the Solomon Islands are trying to work out if there’s been any damage after a remote volcano erupted early this morning. 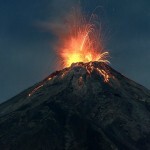 The volcano, Tinakula, which forms an uninhabited island in the northern Temotu province, roared to life at about 2am today. Villages on nearby islands have reported heavy ashfall. The director of the National Disaster Management Office in Honiara, Loti Yates, said a police patrol had been deployed from the provincial capital, Lata. He said information had been slow to trickle out of the remote area, and it could be some time before the full situation was known. An aviation warning has been issued for the Santa Cruz area. The small 3.5-km-wide island of Tinakula is the exposed summit of a massive stratovolcano that rises 3-4 km from the sea floor at the NW end of the Santa Cruz islands. 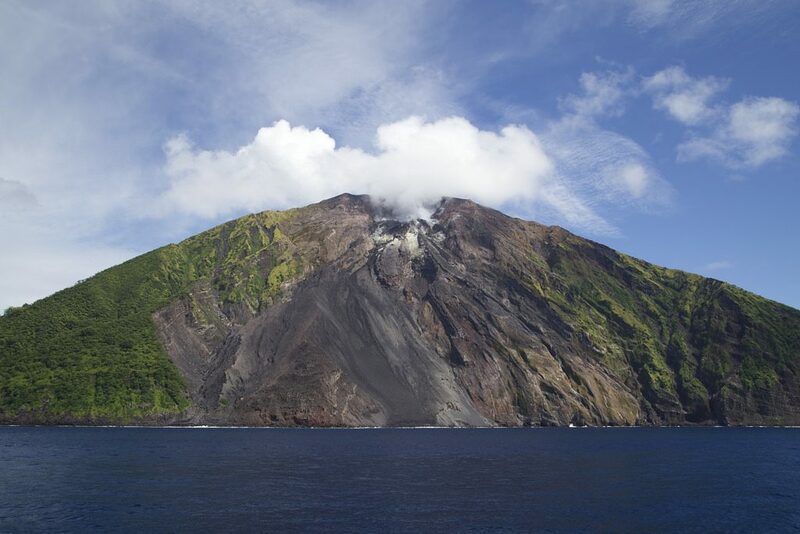 Tinakula resembles Stromboli volcano in containing a breached summit crater that extends from the 851-m-high summit to below sea level. Landslides enlarged this scarp in 1965, creating an embayment on the NW coast. The satellitic cone of Mendana is located on the SE side. The dominantly andesitic Tinakula volcano has frequently been observed in eruption since the era of Spanish exploration began in 1595. In about 1840, an explosive eruption apparently produced pyroclastic flows that swept all sides of the island, killing its inhabitants. 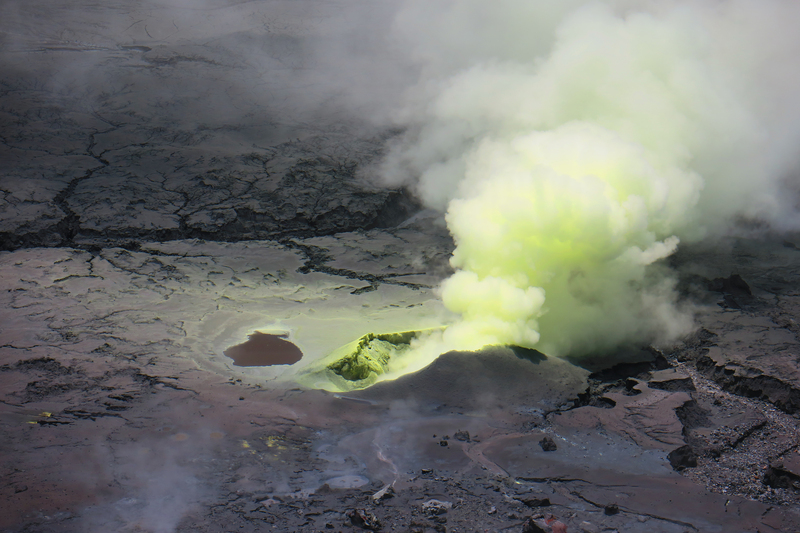 Frequent historical eruptions have originated from a cone constructed within the large breached crater. These have left the upper flanks of the volcano and the steep apron of lava flows and volcaniclastic debris within the breach unvegetated. A drone captures a fracture that has widened in the crater of Mount Agung. OCTOBER 20, 2017. A surveillance drone detected on Thursday that the fracture in Mount Agung’s crater had widened since the last satellite image was taken on Wednesday. 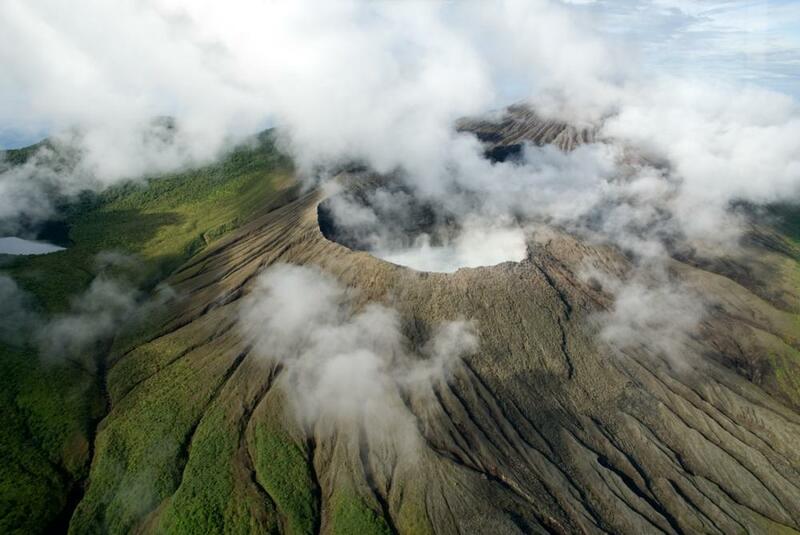 The spokesman of the National Agency for Disaster Mitigation (BNPB), Sutopo Purwo Nugroho, said the fracture was on the east side of the volcano. « The sulfuric gases emanating from the fracture are also denser than before, » he said in a statement Friday. Sutopo added that the drone’s photos also revealed a small fracture in the southeastern part of the crater. The Bufallo FX79 drone was operated by a mixed team of three members of the BNPB and Gadjah Mada University. According to the results of the monitoring of the Volcanology and Geological Risk Mitigation Center, the volcanic activity of Agung continued on Thursday with 58 shallow volcanic tremors, 104 deep volcanic tremors and 17 local tectonic tremors. This October 22, 2017 (00:00 – 06:00 WITA) was recorded 25 shallow volcanic earthquakes (VB), 49 deep volcanic earthquakes (VA) and 5 local tectonic earthquakes (TL) not felt . Slight white smoke is observed at a height of about 1400 ft., Extending west and southwest. Four to seven low to moderate explosions were observed per hour, expelling columns of gray ash at an approximate elevation of between 4,300 and 4700 m (14,107 and 15,420 feet) dispersing in a westerly and southwestward direction over a distance of about 8 to 12 kilometers from the crater. The explosions produce moderate rumblings with shock waves and a sound similar to that of a locomotive. Incandescent impulses reaching a height of approximately 100 to 150 meters on the crater generate avalanches on the crater rim . October 21, 2017 , Updated at 11 pm. 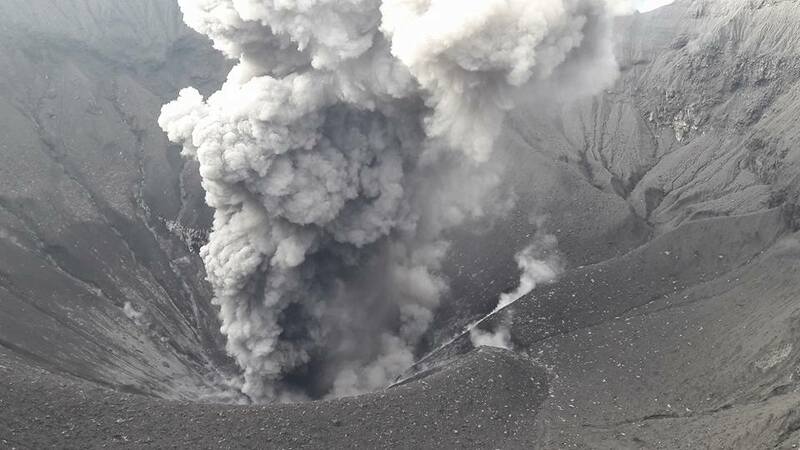 The Turrialba volcano has intermittently shown passive emissions of ash that have dispersed to the northwest. The plume was less than 500 m above the volcano. The seismic activity during the last 24 hours has been characterized by some volcanic tremor signals of low amplitude and variable duration. At the time of this report, the winds at the summit of the volcano are directed mainly to the west. Poás continues with permanent degassing. The plume is less than 500 m above the bottom of the crater. No ash emission was detected. Between 9:30 pm and 11 pm, the volcano had a swarm of moderate VT and LP earthquakes. After this period of 1:30, seismicity has returned to a low level. At the time of this report, the winds at the top of the volcano are directed mainly to the southwest. 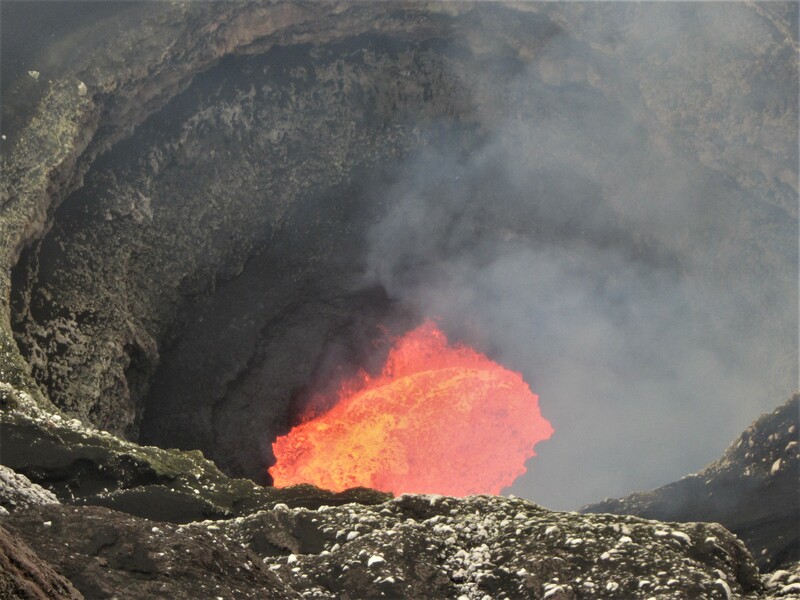 During the last 24 hours, no eruption has been detected. From 1 am, the seismic activity of the volcano returned to a regular rhythm of short tremor with a frequency of several per hour. Level of activity Level 2 (WASPADA). 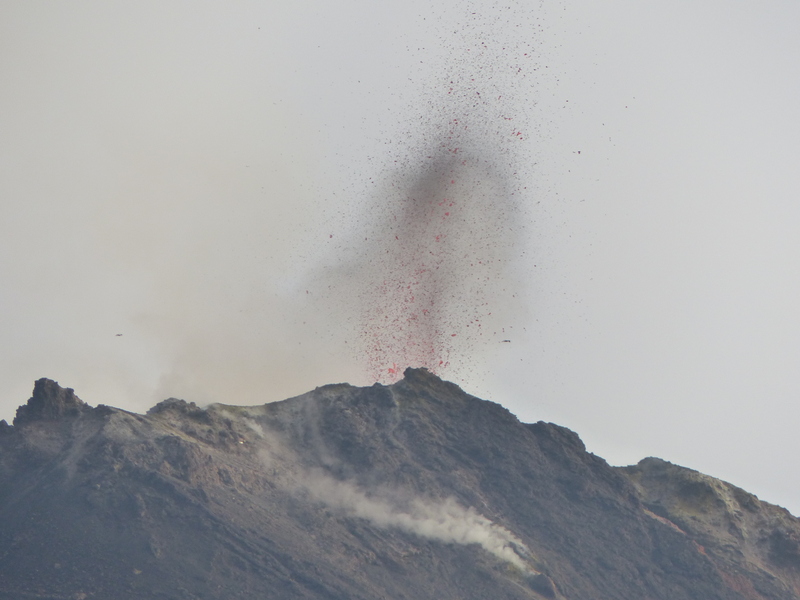 The Dukono (1229 m above sea level) has a continuous eruption. Since yesterday until this morning the volcano has been visually observed clearly until the appearance of fog. 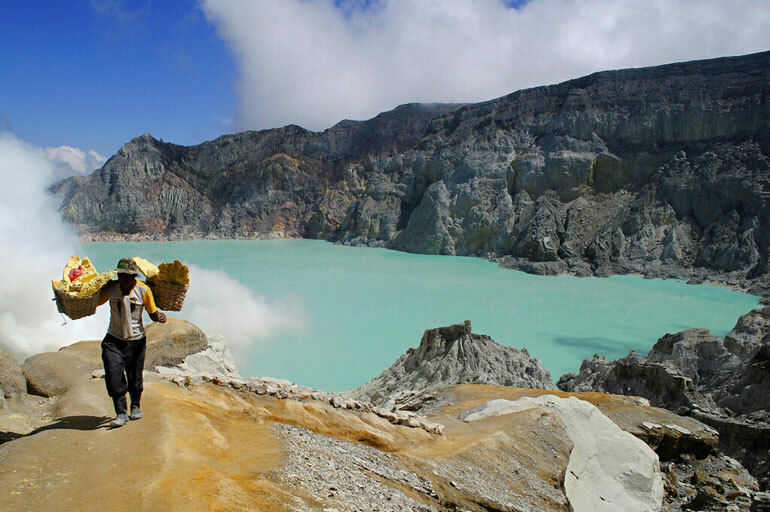 When the mountain is clearly observed, the smoke of the crater presents a gray-white color with a low intensity up to 400-500 m altitude. Thanks to the recording of the seismographs, continuous tremors are recorded. The wind was blowing slightly eastward. 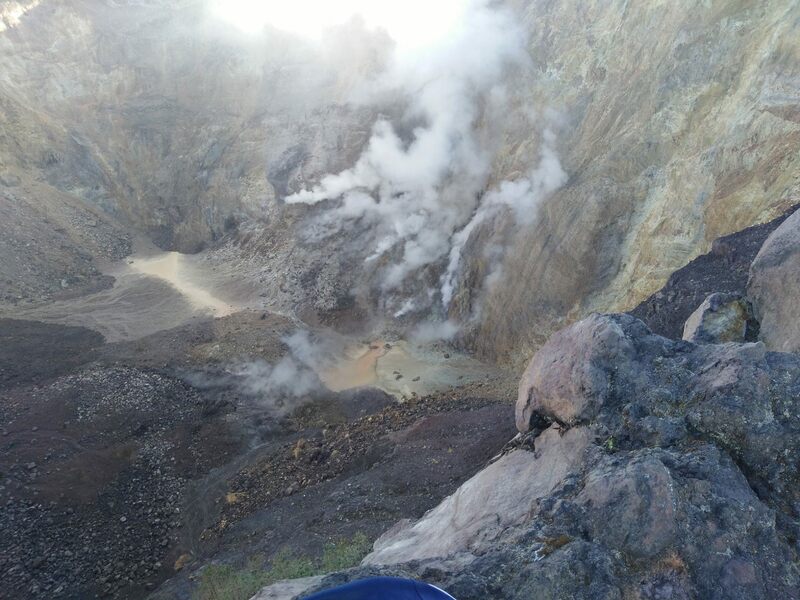 Communities around G. Dukono and visitors / tourists should avoid activities, climbing and approaching the Malupang Warirang Crater within a radius of 2 km. Eruption with volcanic ash cloud at 2237 UTC (0737 local). Best estimate of ash-cloud top is around 5213 FT (1629 M) above sea level, may be higher than what can be observed clearly. Source of height data: ground observer. Ash cloud moving to West. Eruption and ash emission is continuing. 23 Octobre 2017. FR. Kilauea , Reventador , Tinakula , Agung .